Subscribe now to get the latest news, posts, and even special book promotions sent right to your email. My fiction books deal with themes of hope, defeating evil, salvation, and love. My children’s bedtime stories have been favorably compared to C.S. Lewis’ Narnia series and have garnered thousands of positive reviews. Atlantis Reigns Supreme… For Now. Atlantis watches from afar, content to let the local governments rule themselves, its deadly might a threat to every nation. The city of Tag Tamar sits poised to take its place in history as it hosts unprecedented trade negotiations between the North Atlantic Realm, the Kingdom of the Southern Ocean, and the Confederate Southern Alliance. There was a time when Stevens Craig was an Elite Hunter, stalking Tag Tamar’s worst criminals and bringing them to justice. But, after an unfortunate lapse in temper, they demoted him down to the lowest ranks. Just when he thinks his luck is about to change, assassins target the mutant Queen of the Southern Ocean and Craig’s wife is implicated as the mastermind! In a time of political turmoil, on the brink of war, who can Craig trust? 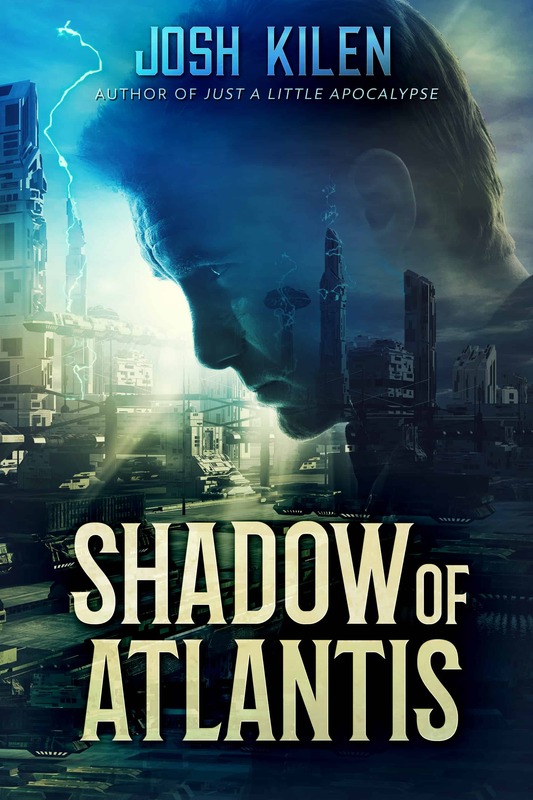 Will he turn his wife over to the Authorities, or does he have what it takes to help her escape, find the truth, and prevent the obliterating intervention of Atlantis? Big and Little are two dogs who love cheese. They would never have imagined that this love would take them to another world, to do battle with the ferocious feline, Shirlee, and his army of animated Pizza Crusts! Follow Big and Little as they try to foil Shirlee’s plans to take over the worlds! 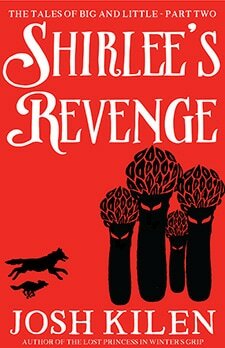 Shirlee’s back and he’s raising a new army of unforgettable enemies. He’ll stop at nothing to destroy Big and Little and take over the Worlds. As brave Big and wise Little attempt to foil his plans, they see old friends, meet new allies, and uncover an age-old secret that could change everything! Could this be the end for Big and Little? 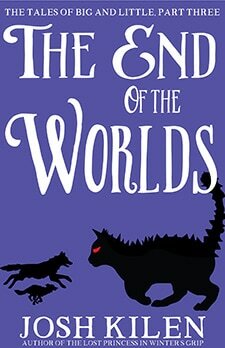 Will the worlds survive the wrath of Shirlee? What new creations will Shirlee bring to life? Big and Little finish their biggest adventure yet, battling Shirlee and his forces to the bitter end, and the very fate of all the worlds hangs in the balance. Annabeth lives a normal life as a happy girl in a small town. Then one day her life is turned upside down by a Royal pronouncement that she is in fact a Princess! With evil nipping at her heals, Annabeth and Prince Ryan must battle Stone Monsters, Bandits, and the dreaded Ice Witches in order to reclaim her title and dispense True Justice throughout the land. Annabeth needs to rescue her love, Ryan, from the evil Ice People in the North. 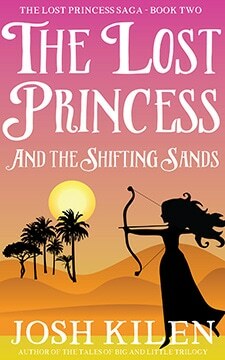 But first she must travel south and enlist the help of the mysterious Desert Tribes. They will test her limits, mind, body, and soul, making her question everything. Only by holding on to her love can she make it through. But can love’s power be scorched away? In the third and finale volume – Beaten and on the run, Annabeth and the Priest must race against time to learn the secrets to defeating the Ice People. When they find an ancient power with the answers they seek, Annabeth learns that the path to saving her love, Prince Ryan, may end in her demise. 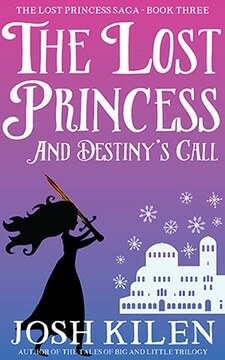 Don’t miss the thrilling conclusion of the Lost Princess trilogy! Sean Ryanis & The Impossible Chase When the most powerful man in the galaxy is taken hostage by evil aliens, there’s only one man to call. Captain Sean Ryanis! Follow him as he battles the evil Malogan Empire, tussles with Fire Pirates, and escapes the grip of the Big Boss. Can he save the galaxy from certain destruction? 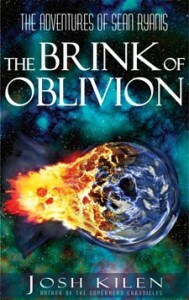 Sean Ryanis & The Brink of Oblivion Sean Ryanis faces his toughest enemy yet! A mysterious and relentless killer is out to put a blaster beam through Sean Ryanis, and nothing will deter him from his mission. Out of tricks and with nowhere to hide, Ryanis must uncover the killer’s identity and risk his neck to save the lives of his friends. 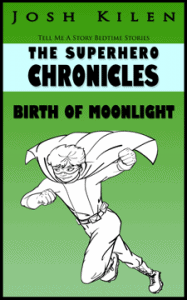 The Superhero Chronicles – Birth of Moonlight Billy was just your average kid with a big heart, until one day something extraordinary happened to him. After a freak accident, suddenly Billy has the powerful ability to read and change emotions. Before he has time to fully understand his powers, a dark force threatens to destroy his city and only Billy can combat its evil. Will he prevail in time? 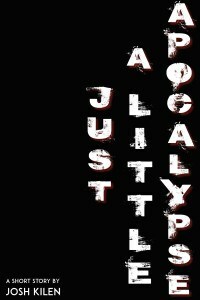 Just A Little Apocalypse: A Short Story of Mirth, Terror, and Grocery Stores Tacoma residents watch in curiosity as a mighty vortex of death opened up above their houses, unleashing the armies of the dead to take the world of the living. Evil’s first target? Wilson High School. A short story about colorful characters defeating an ancient evil with a very nice scene about mowing lawns. In addition to my blog posts, I also write books about the changes in the publishing industry, marketing, Christian business, and parenting. There’s more to come and if you have an idea for a book you would like to see written, just send me an email. 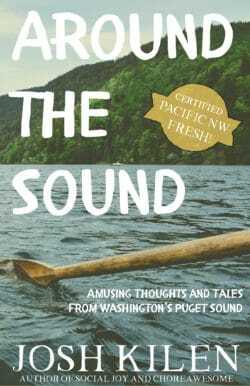 From the mismatched buildings of Olympia to the faded Victorian grandeur of Port Townsend, Josh Kilen takes you around the Puget Sound, sharing humorous stories and quirky histories about this beautiful corner of the Pacific Northwest. You’ll spend hours chuckling to yourself, maybe even laughing out loud, probably in the bathroom, reading these short and amusing stories. Part travel essay, part humor writing, this book is filled with stories that are sure to make you smile. So kick back, settle down onto your favorite sitting area, or throne, and prepare to be delighted! 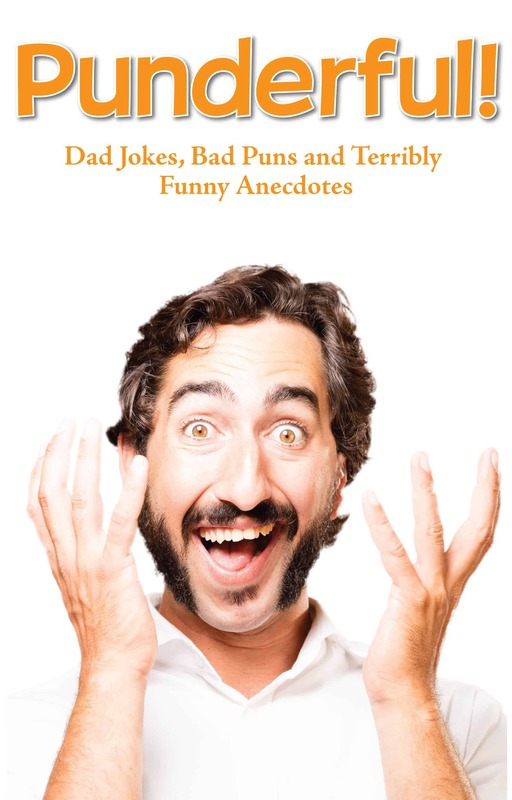 This book is a celebration of puns, jokes, and humor that only Dads, and Dads-in-Training, can appreciate. From short and funny zingers to longer stories that will have your audience groaning with laughter, this book has everything you need to tell awfully funny jokes. If you’re a Dad, you will love it. If you’re a child, you will grow wiser and more wonderful in your father’s eyes with each terrible but hilarious joke you tell him. Do yourself a favor, get this book and become the life of the party, an instant wit, and possibly your father’s favorite child. Do you hate sales and marketing? If you’re an artist or author, usually the answer is a resounding “Yes!” But, without marketing, how do you get the word out about your work? That’s where Social Media comes in. 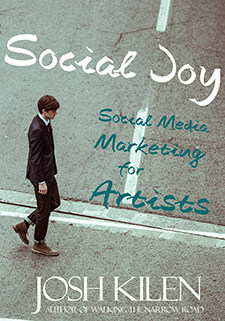 If you’ve ever wanted to know how to use the remarkable power of Social Media in your own artistic enterprise, this is the book for you. You will learn how Social Media works, why it’s crucial, and most importantly how to use the social web to increase your sales, finding those all important collectors and fans. The future belongs to those people who can form relationships, exceed customer expectations, connect, and tell relevant stories. In short, the future belongs to the Christian Business Owner. 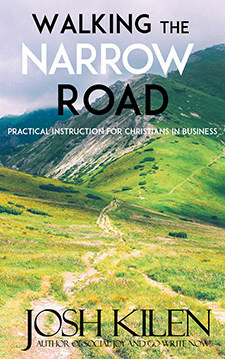 This book will help you realize your dream of succeeding in business while holding on to your Christian principles. So many would be writers feel like they need outside approval to do what they love but it has never been easier to publish your own book! If you have always wanted to be a published author then this is your time to shine. 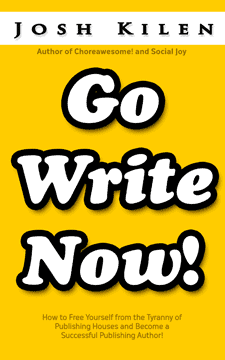 You don’t have to wait, you can be a Publishing Author today and start to live your dream right away. All it takes is some knowledge, hard work, and your passion for writing. This book will help you find your path to success. How do you make your child do something they hate to do? I learned there’s a secret to making chores irresistible, turning kids from reluctant to excited in a matter of minutes. In this short guide I show you how to turn chores into a game that your child won’t be able to resist playing, and how to sustain that game over time. You will learn the secrets to making the most dreaded tasks sources of joy and excitement for your children. Dealing with your cable company can seem pointless and infuriating because they seem to have the upper hand at every step. 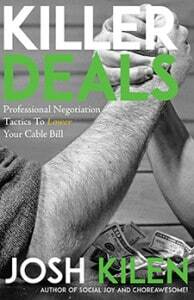 Learn how to negotiate with the cable company so that you get the best deal possible. You can use professional negotiation tactics from real-world experts. These tactics will make the cable company’s powerful scripts useless against and leave you talking one on one with a real person who needs to help you. Get Notice of Upcoming Releases!